Mattel’s been taking great pains to update its product lines for a plugged-in generation of kids. Last month, the toy maker teamed up with Osmo for an iPad-ready update to its popular Hot Wheels line, and now the company is enlisting the help of another tech startup, Dash Robots. The pair’s first collaboration is Kamigami, a robotics platform that lets kids build their own robotic bugs. Due out on Target store shelves today, the toy features a six-legged robotic kit that should take roughly an hour to assemble, using foldable plastic sheets. Each also comes with a different origami shell that turns them into various bugs, like mantises, ladybugs and scorpions. Both Dash and its first major consumer product are an outgrowth of U.C. Berkeley’s Biomimetic Millisystems Lab, which draw inspiration from nature to build more efficient robotics. Dash began life as a UCB spinoff by selling its own kit for $65 a pop, ultimately teaming up with Mattel to help mainstream the product. 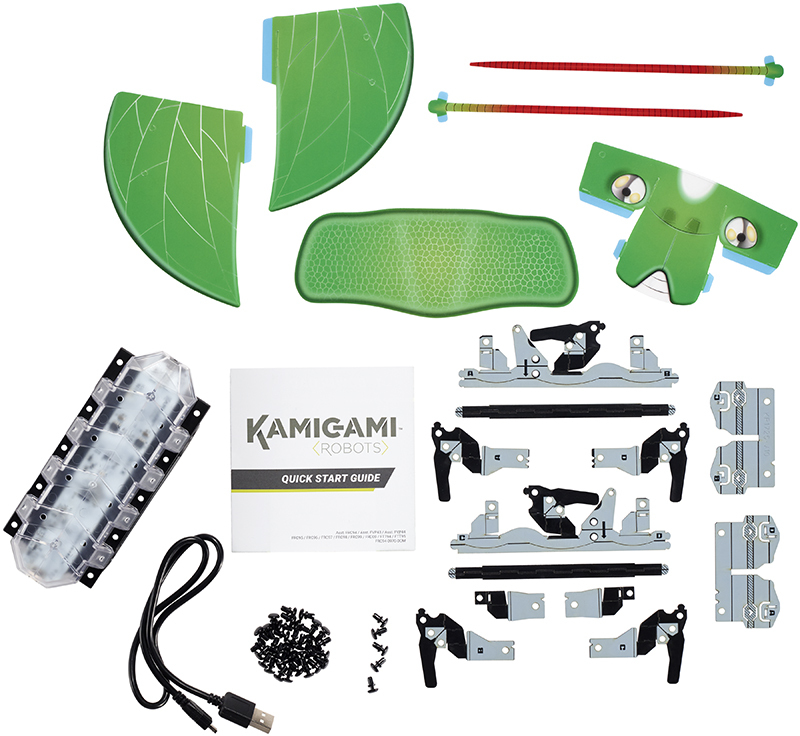 For obvious pricing and kid-friendly reasons, Kamigami isn’t particularly complex, as far as biomimetic robots go, but the product does draw inspiration from its biological counterparts. The connection is particularly apparent in the product’s locomotion, using a stiff-legged gait to move quickly across a surface. Each $50 robot features an accelerometer, gyroscope and an IR transmitter and receiver that allow them to interact with their surroundings and one another for games like freeze tag and “sumo,” in which they relentlessly bash into one another. They can also be controlled remotely through the mobile app, or preprogrammed with a basic coding application designed to teach some programming basics.